Trinity Hill was established in the Gimblett Gravels sub-region of Hawkes Bay in 1993 to produce world class wines that just happen to come from New Zealand. The emphasis is on the classic Bordeaux varieties and Syrah for red wine from the Gimblett Gravels and Chardonnay, Pinot Gris and Sauvignon Blanc for whites from the cooler inland and southerly regions. We own 100 Ha of vineyard in the appropriate sub-regions of Hawkes Bay. Our wine is exported to more than 20 countries. 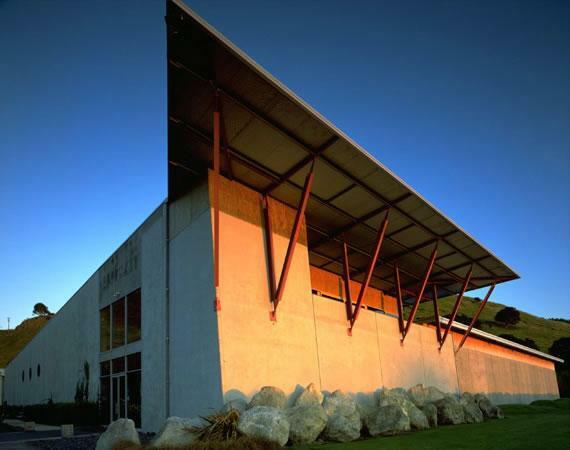 Situated in the heart of the Gimblett Gravels wine growing district, visit our Cellar Door for a tasting of world-class red and white wines. Stay a while and enjoy our architecturally designed winery and spacious gardens with a glass of award-winning wine.